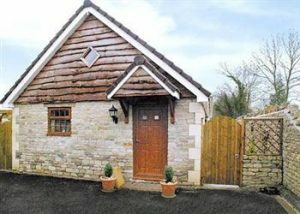 This charming detached holiday cottage is situated in the sleepy hamlet of Laverton, surrounded by countryside. Adjacent to the owner’s home, it is only 6 miles from the Georgian city of Bath, with its wealth of architecture, history and Roman baths. Full length picture windows and patio doors lead out from the living room onto a secluded and fully enclosed patio area. High sloping ceilings add to the character. Walks can be enjoyed from the doorstep to neighbouring villages and pubs. Living/dining room with patio doors and tiled floor. Compact kitchen with tiled floor. Wet room with toilet. First floor: Double bedroom with large picture window. Twin bedroom with sloping ceiling.